When CNN's John King asked Newt Gingrich about his past infidelities during a South Carolina debate last week, Gingrich's thunderous response helped him win that state's primary. The former House speaker dismissed the question, decrying media bias. But it turns out that for all his theatrics, he lied when attacking ABC News for reporting on allegations by his second ex-wife, Marianne Gingrich, that he asked her for an "open marriage." "Now, let me be quite clear. Let me be quite clear. The story is false," Gingrich said last Thursday night in the debate. "Every personal friend I have who knew us in that period says the story was false. We offered several of them to ABC to prove it was false. They weren't interested, because they would like to attack any Republican." "ABC did a one-sided story, wanted no rebuttal, wanted to run it two nights before a primary, and we fought with them for several days over it, and just said, 'Look, give us equal time.' Okay?" Gingrich said. "Because it's a lie; it's not true." While Gingrich asserted multiple times that he was being wrongfully attacked by ABC, it has now come to light (as if it were not obvious before) that Gingrich lied. There were not several personal friends offered by the campaign to rebut claims from Gingrich's second ex-wife - only two daughters from his first ex-wife. Why would Gingrich lie about it at all only to come clean a couple days later? Gingrich decided to lie because it was his way of handling a potentially damaging story on the eve of a primary that he eventually won. Gingrich's strategy was to go on the offensive and seize control of the narrative and then advance the conversation to another subject. After the debate, nobody was really focusing on the allegations made by Gingrich's second ex-wife. Instead they were focusing on Gingrich's attack and his overall debate performance, which because of the attack gave the perception of strength. 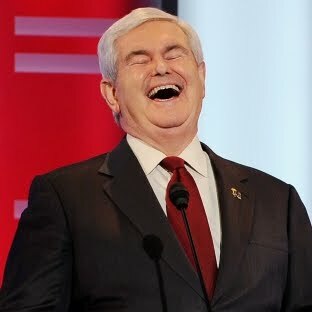 Now that the primary was won and the story is old news, Gingrich's camp can now say it was all a lie and move on and if the media calls him out on it he has his original attack - that the establishment and biased media are trying to destroy his campaign. Another thing of interest in Gingrich's comments against ABC - his request asking for "equal time" to rebut the claims. The Fairness Doctrine is a popular target among conservatives and I am sure many Republicans who have been watching the debates would love to know that Gingrich was the co-sponsor of the Fairness in Broadcasting Act of 1987, which essentially codified the FCC's Fairness Doctrine into law. This is another flip flop - Gingrich's official campaign site states that he opposes the doctrine. Which is it Newt? Are you for or against fairness in broadcasting? Your website says one thing but your words asking for "equal time" from ABC says another.